In our previous post, we discussed some of the tips that you should follow to sell your home more quickly this fall and at the asking price you want. In today’s post, we will look at a few more tips that you should consider if you plan on listing your house before winter arrives. Continue reading our post and then call A New Dawn Realty in Stokesdale to learn how our Realtors® can help. While you might be hoping to spend one last holiday season in your home, you need to hold onto that idea loosely. 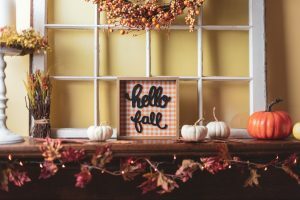 Many buyers who purchase homes in the fall are hoping to be settled into their house in time for all of the holiday-related activities. If you are hoping to secure a contract as soon as possible, then you must be flexible about possession timing. This means that you must be ready and willing to move on short notice, which might entail making arrangements for temporary housing if your permanent housing isn’t lined up in time. In fact, the best thing to do is to have your new housing arranged before putting your current home on the market. When purchasing a home, buyers put considerable funds into the transaction — state and county transfer taxes, lender fees, settlement attorney fees, and home inspection fees. All of these extra taxes and fees add up to about two percent of the final purchase price. One tip that our Realtors® suggest you follow is to consider offering to pay a certain amount of lender-approved expenses for the buyer. Should you offer this incentive, it could be the deciding factor that persuades a buyer to make an offer on your home. There is a small window of time during the fall when homes look their best — the leaves are changing colors, the lawn is still green, and the sun isn’t setting before 5:00 p.m. Outside of this timeframe, it is hard to take the pictures that will show your home in its best light. The Realtors® at Stokesdale suggest that you take pictures of your home in the spring or summer if you know that you will be putting your home on the market in the fall. These pictures not only show your buyers what to expect from the landscape during these seasons, but the colors will also probably appear more lush. Images of dead grass, snow on the ground, and leafless trees are not appealing to anyone. When you are trying to sell your home, it doesn’t matter how much you might enjoy decorating for the holidays, you need to look at your home from the perspective of a buyer. If your decorating tends to be over-the-top by others’ standards, then you need to consider seriously cutting back on the items you set out. While it may not be as fun for you, just keep in mind that your long-term goal is to sell your home. If decorating moderately is what will attract people, then that is what you should do now, knowing that you can decorate to your heart’s content in your new home. We hope that our post on tips for selling your home this fall has been helpful. 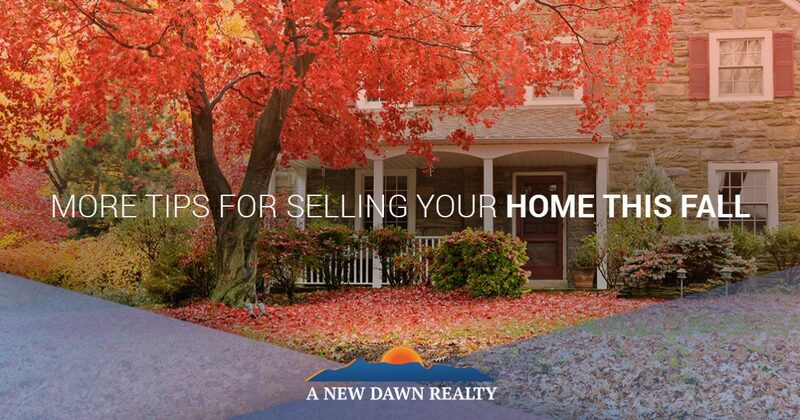 If you’re ready to sell your home this fall, make sure to contact one of the Realtors® at A New Dawn Realty in Stokesdale and see what we can do for you.